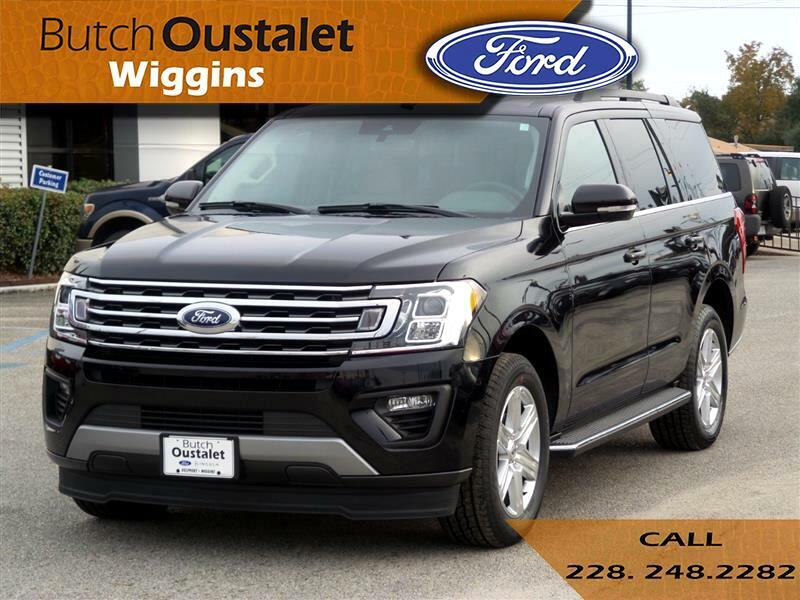 New 2019 Ford Expedition XLT for Sale in Wiggins MS 39577 Butch Oustalet INC. Program #21010: Not all buyers will qualify for Ford Credit limited-term APR financing. Eligible vehicles will receive "Select Inventory" APR Financing. Vehicle supply is limited. Take new retail delivery from dealer stock by 07/01/2019. See dealer for complete details. (13488) Program #13488: Take new retail delivery from dealer stock by 07/01/2019. See dealer for complete details. (30392) Competitive Conquest Bonus Cash (30392) is available to customers who currently own a 1995 or newer non-Ford Motor/Lincoln/Mercury Company Car, SUV, or Light Duty Truck or have terminated a lease 30 days prior to new retail delivery. Take new retail delivery from dealer stock by 07/01/2019. Residency restrictions apply. See dealer for complete details. (13490) Program #13490: Take new retail delivery from dealer stock by 07/01/2019. See dealer for complete details. Truth in Lending Act Disclosure: Down payment will vary with APR and credit. For example, 0.0% APR with $2,500 down payment provides for 60 monthly payments of $16.67 per $1000 financed for qualified buyers. 0.0% APR for a term of 36 months corresponds to a monthly cost of $27.78 per $1000 financed. 0.0% APR for a term of 48 months corresponds to a monthly cost of $20.83 per $1000 financed. 1.9% APR for a term of 72 months corresponds to a monthly cost of $14.71 per $1000 financed. 2.9% APR for a term of 75 months corresponds to a monthly cost of $14.59 per $1000 financed. The rates described are for estimation purposes only; you may not be able to finance at this rate.